Royal blue dial face with Arabic numerals, minute track at perimeter, and brand name. 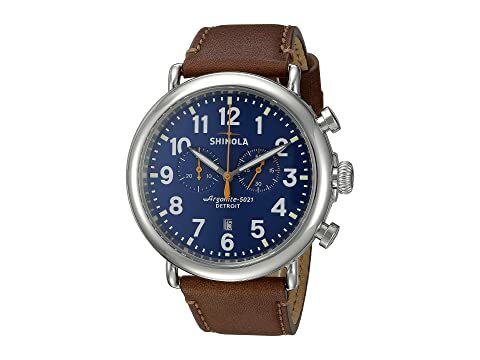 We can't currently find any similar items for the The Runwell Chrono 47mm - 10000047 by Shinola Detroit. Sorry!